I spent yesterday and today altering several items of clothing, both handsewn and retail, that were too big for me. I hate doing alterations and had been putting them off for a while. I specifically wanted to redo this loose shirt I made back in September last year. I only wore it once because it was way too boxy and the sleeves were too puffy and big. I couldn't get rid of it though since I made it using this awesome Liberty print. 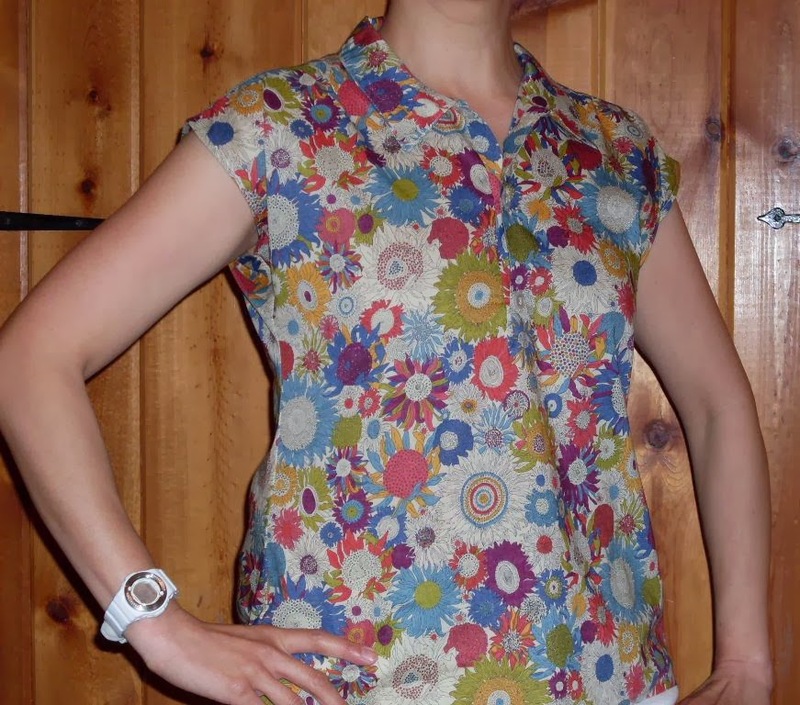 I removed the sleeves and then took in about two inches at the side seams and added a tiny bit of shaping there. After I pinned the shirt at the sides and tried it on, I realized the shoulders were dropped enough that it appeared I already had a cap sleeve! What luck! All I had to do was hem the armholes. Below is what the shirt looks like now. I wore it today and will definitely wear it again. wow, dude. what a great fix!! !